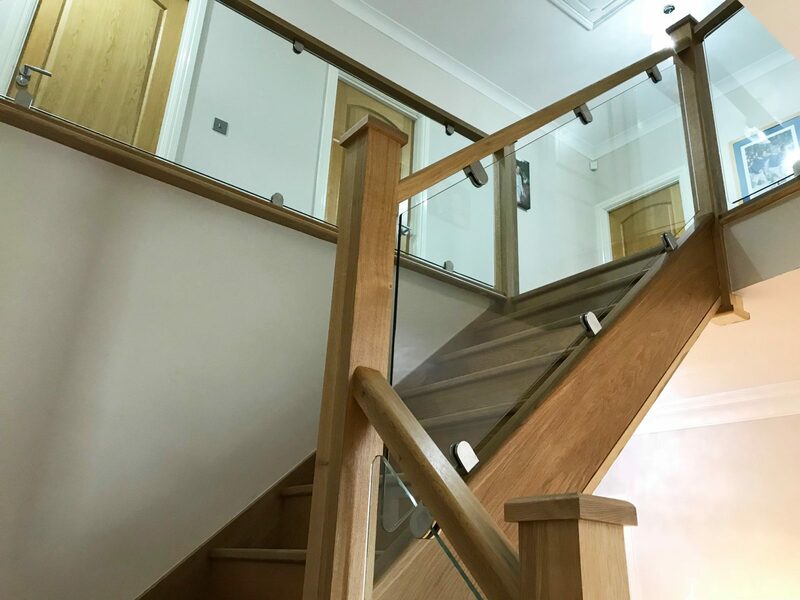 With the huge amount of homebuilding going on at the moment, there is a plethora of new luxury homes springing up all over the Uk. 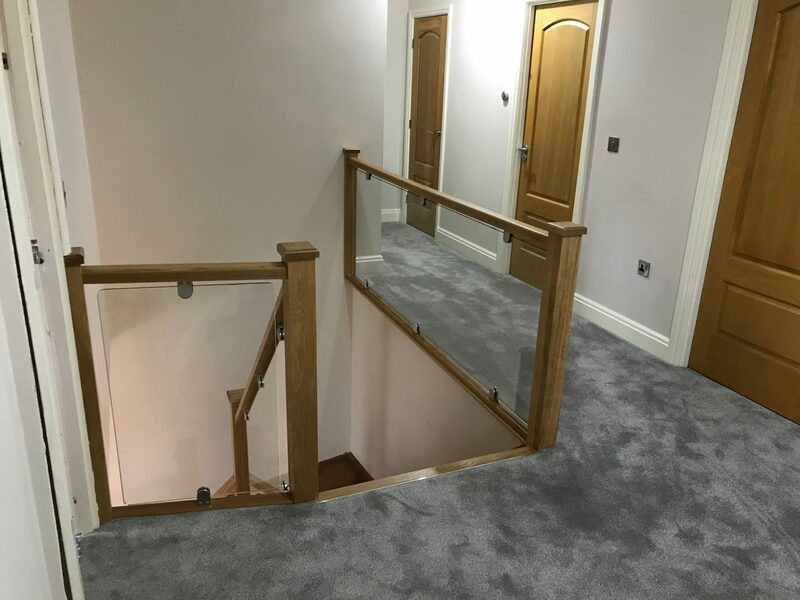 However despite these homes being sold as “luxury” one of the elements that lets most of these new homes down is the cost cutting that is done when they come to choosing the stairs. 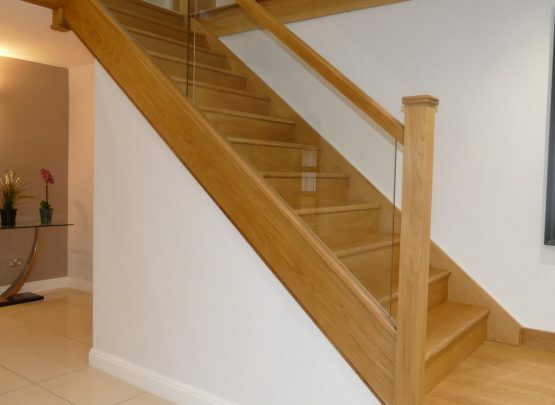 Instead of creating that showpiece hallway, what you actually get is cheap alternative. 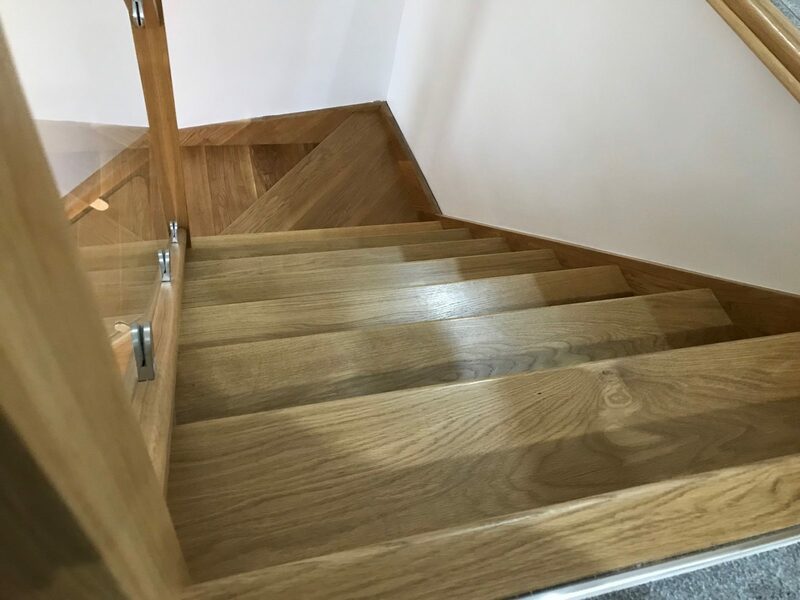 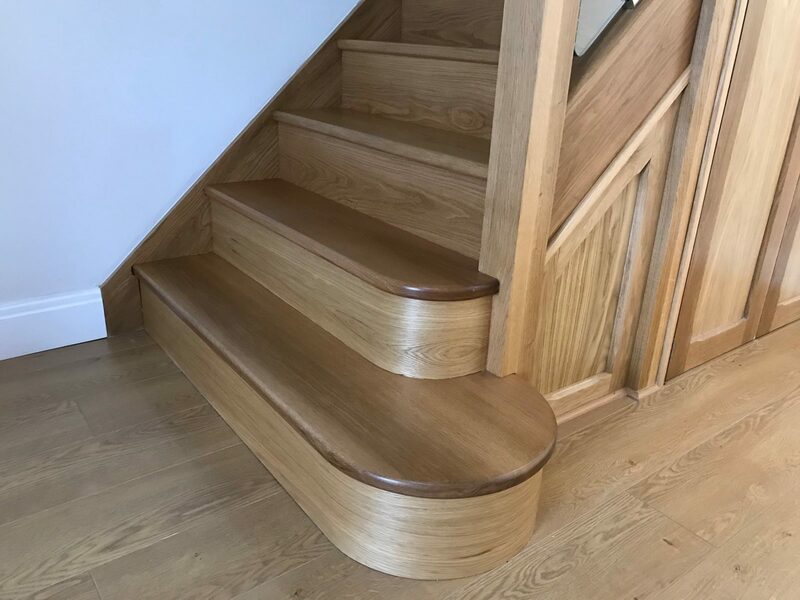 In the case of this project, the customer had bought a new luxury home and was indeed faced with a cheap, poorly designed staircase. 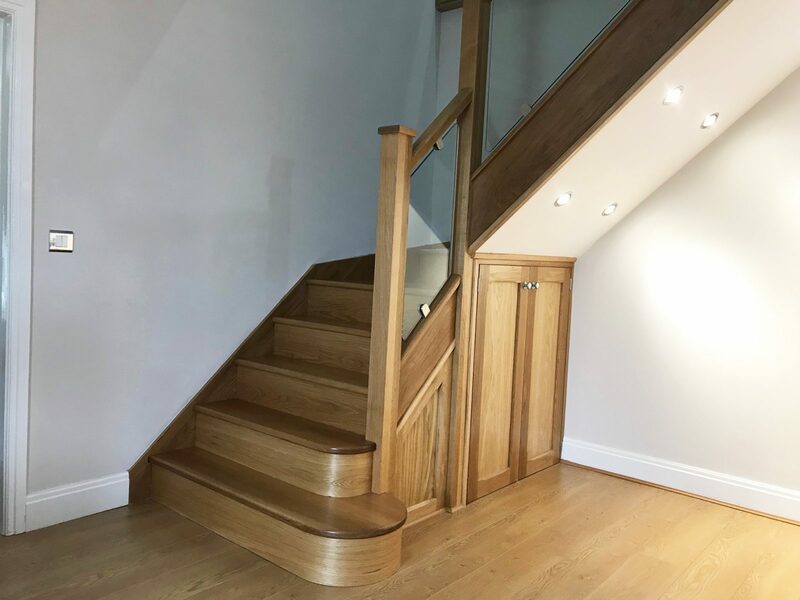 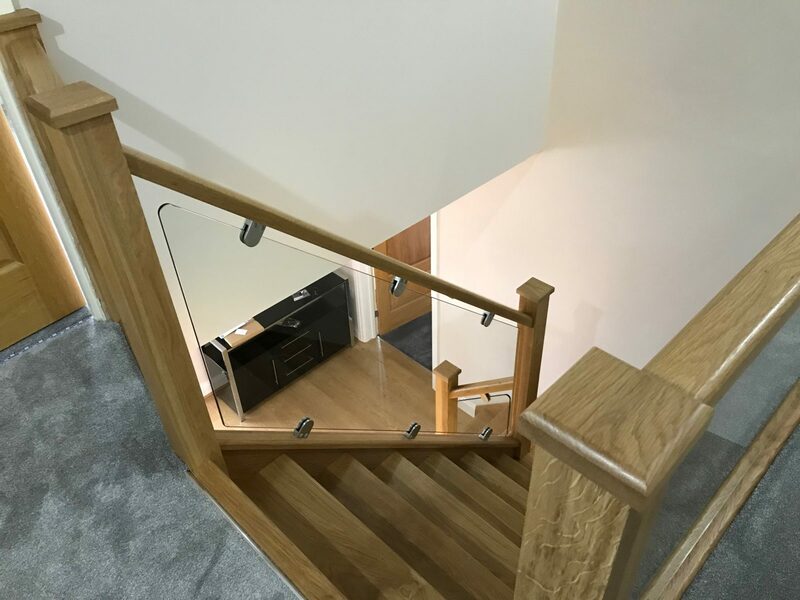 To renovate the existing hallway, he opted to go for a solid oak staircase, with glass supported by chrome clamps. 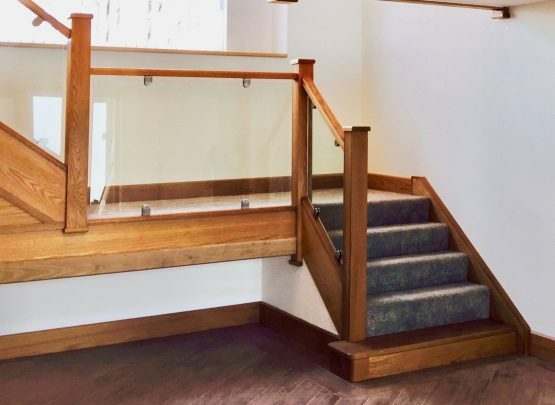 Due to the hallways lack of windows on both the ground and first floor, the amount of light available was minimal, with the glass balustrade, the entire hallway was opened up, made brighter and turned into a more inviting space. 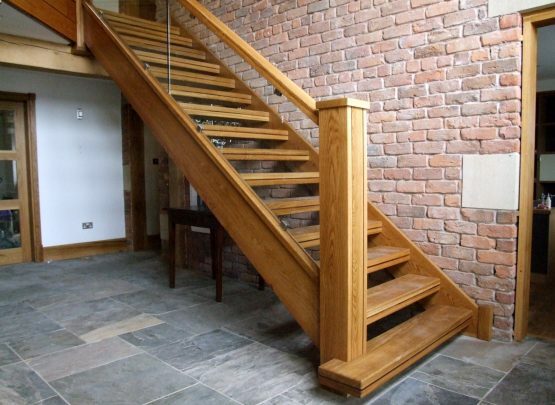 Lastly, some small renovations were made to the hallway. 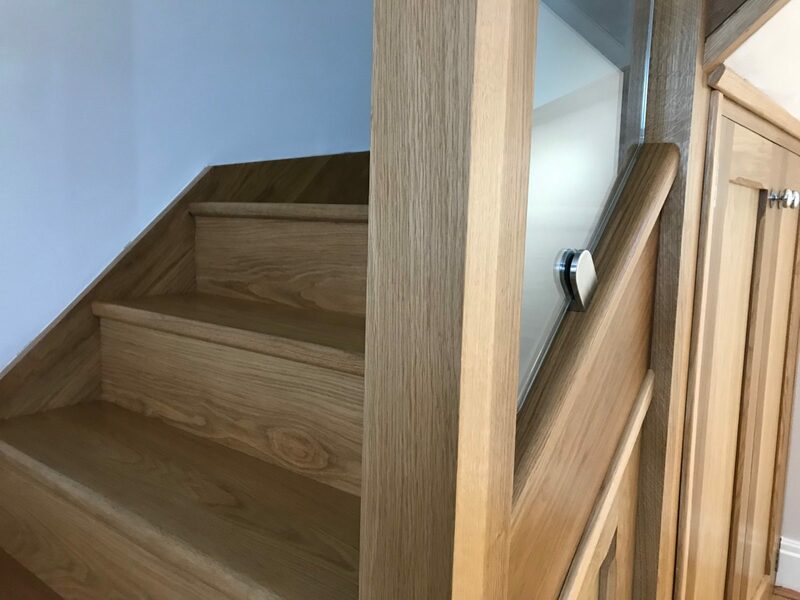 the cupboard under the stairs was changed from a full height cupboard which took up a large amount of space, into a smaller one which was situated under the kite winder. 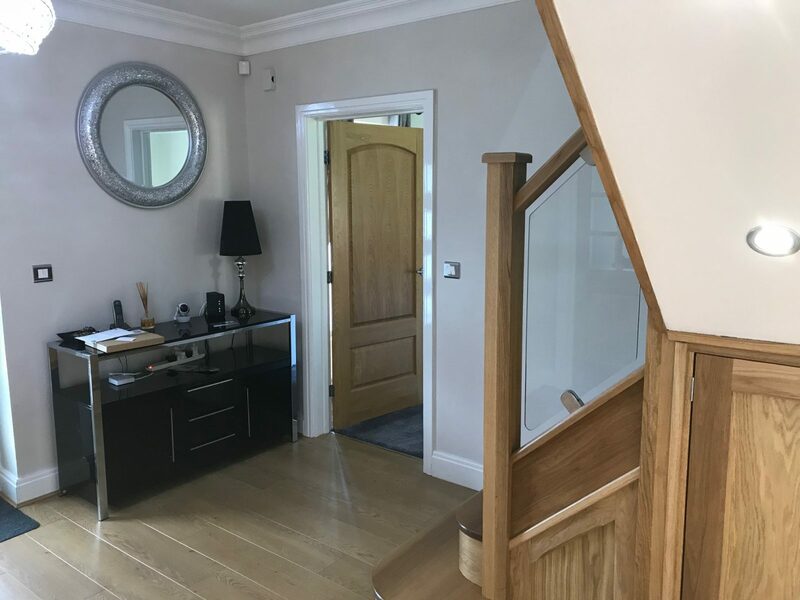 Also, the landing was extended by dropping back one of the bedroom walls. 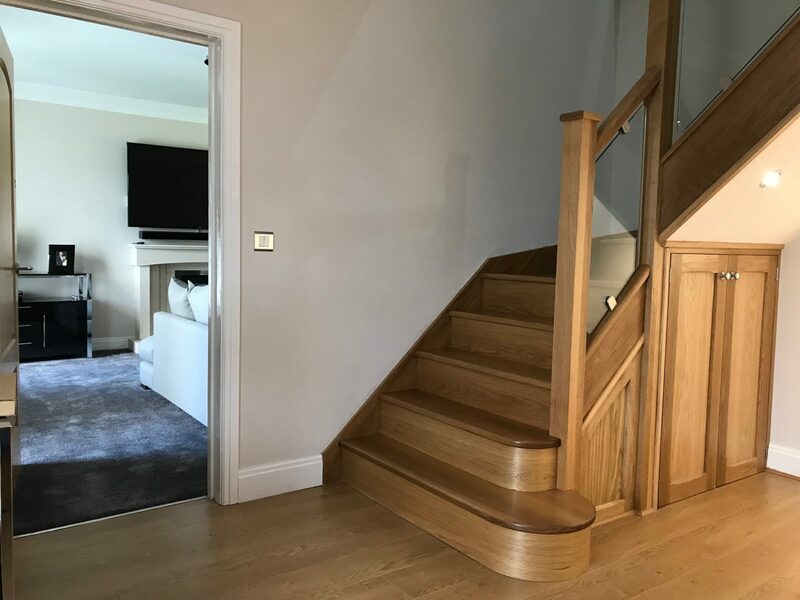 this slight adjustment of only a couple of feet further increased the light that was able to pass between the floors and in turn brighter up the hallway.